Glaucoma is the leading cause of blindness in the world. 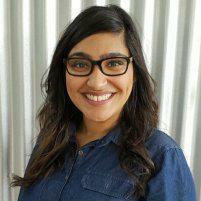 At Pack Optical in Fort Worth, Texas, experienced optometrist Alisha Poonawala, OD, knows that the impaired vision associated with glaucoma, macular degeneration, and other eye diseases can negatively impact your daily life. Dr. Poonawala provides exceptional service and various testing and treatment methods to manage existing eye diseases, reduce risks, and improve eye health. Book an appointment online or over the phone to learn more. Glaucoma is often called the silent thief of sight, and it refers to a group of related eye conditions that are typically caused by a buildup of fluid in the front of the eye. The fluid accumulation leads to high pressure or elevated intraocular pressure in your eye that can damage your optic nerve. Your optic nerve is made up of around one million nerve fibers that transmit signals from your eye to your brain. Due to the consistent pressure from glaucoma, some of these nerve fibers can be lost, and this is when progressive deterioration and vision loss occurs. Some vision loss can be irreversible. There are different types of glaucoma. Open-angle glaucoma is the most common, where the optic nerve damage occurs painlessly and gradually. Treatments for glaucoma include surgery or medication to help regulate the pressure on the eye, slow the disease’s progression, and help halt further vision loss. A primary symptom of macular degeneration is a blind spot that typically forms near the middle of your field of vision. Macular degeneration is more common in men and women over age 65, and it is often referred to as age-related macular degeneration (AMD). The impaired and blurred central vision occurs due to the thinning of the macula — a tiny spot near the center of your retina that’s comprised of millions of light-sensing cells. Macular degeneration typically starts in one eye and progresses to affect both eyes. There are two types of AMD: dry macular degeneration and wet macular degeneration. Dry macular degeneration is more common, but both need expert treatment. With dry macular degeneration, small deposits called drusen form on the retina beneath your macula, which can cause the macula to deteriorate over time. Dry macular degeneration may progress into neovascular or wet macular degeneration. With wet macular degeneration, abnormal blood vessels under your retina begin to grow toward your macula, where they tend to bleed, break, and leak fluid. Wet macular degeneration is less common and is typically treated with laser procedures. Pack Optical offers genetic testing to help identify men and women who are more likely to develop wet macular degeneration. Book an appointment online or over the phone with Pack Optical today to schedule a comprehensive evaluation.